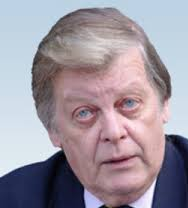 Alan Hart is an author, former Middle East Chief Correspondent for Independent Television News, and former BBC Panorama presenter specialising in the Middle East. He has authored the three-part series Zionism: The Real Enemy of the Jews. Netanyahu's Real Message was to Israel's Jews: "Talk Peace but Prepare for Doomsday"
"Israel has not Changed for the Worse, it’s Always Been Bad"
What, really, is Netanyahu's game plan for America?